What is an Electrostatic Motor? 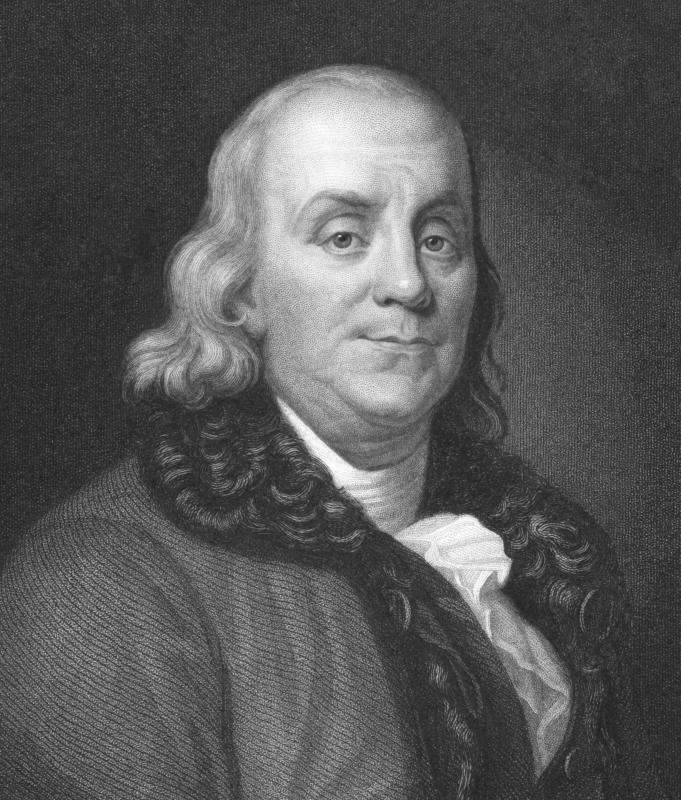 Benjamin Franklin developed one of the first electrostatic motors. An electrostatic motor uses the attraction and repulsion of an electric charge to generate energy. This is also known as a capacitor motor and is a type of eclectic motor. The electrostatic motor is most commonly used in micro-mechanical systems to create a drive voltage of less than 100 volts. The first electrostatic motors were developed by Benjamin Franklin and Andrew Gordon in the mid-1700s. The motor originally was used to power bells and other small devices. The motor is based on the use of moving plates that are charged to be either positive or negative. The forces that generate the power do not wear down the plates, resulting in a long-term, stable method of energy generation. An electrostatic motor can be created from standard household items and is a great science fair project. The amount of energy generated is not very large, but it is steady, does not require any consumable materials and has no residual products. The level of output usually is less than 100 volts, and the motor can be quickly disassembled, if required. The energy in an electrostatic motor is created through static electricity. To create the motor, simply charge two items: one positive and one negative. Make a simple fan by attaching blades to an upside-down cup and attaching the base of the cup to a stick to allow free movement. Move the positive and negative items close together over the fan and watch it move. This is an electrostatic motor in action. The invention of dry cell batteries and flowing electricity quickly replaced the electrostatic motor as an option for consumers. The development of computer circuitry, however, has revitalized the use of this type of motor. These electronic boards are very sensitive to spikes in power. The electrostatic motor creates a steady, low level of energy that presents no risk to the circuitry. People who work in electronics or electrical engineering typically are very familiar with the electrostatic motor, and they often have built this motor as a science project and can see how the concepts can be applied to other projects or challenges. For example, electrostatic painting uses a very similar concept, because the surface is negatively charged, and the paint positively charged. As the item moves through the paining machine, the paint is released and is naturally attracted to the surface. This creates a smooth, even application with minimal effort. At the end of the process, the charge is neutralized, allowing the material to pass to the next stage with no interruptions. What Is a Wax Motor? What Is a Repulsion Motor? What Is an Antistatic Mat? What Is a Motor Capacitor? What is a Unipolar Stepper? What is an Electrostatic Voltmeter? @MrMoody - No, I think the Tesla coil is a different kind of electricity. Science fairs typically have what’s called a Van der Graaf Generator. It’s basically a silver ball and a rotating crank. When you spin the crank it generates static electricity inside the ball. Then you take a small probe and extend it near the big ball, and you can start seeing the static sparks fly and hearing the clicks of static electricity. It’s a simple concept. You can get the same effect by rubbing your hands back and forth across the carpet, although that will give you the shock but not the sparks most of the time. I don’t recall seeing these kinds of motors demonstrated at science fairs, although it’s been awhile so maybe I did and had just forgotten. What does a typical electrostatic generator look like? Is it like a Tesla coil?